Our house is quite small. As someone once put it when visiting, ‘It’s a nice little cottage!’ So, over the years, we have tried to get rid of unnecessary or unwanted clutter. This applies to everything we own—well, almost everything. Of course, books are the exception. 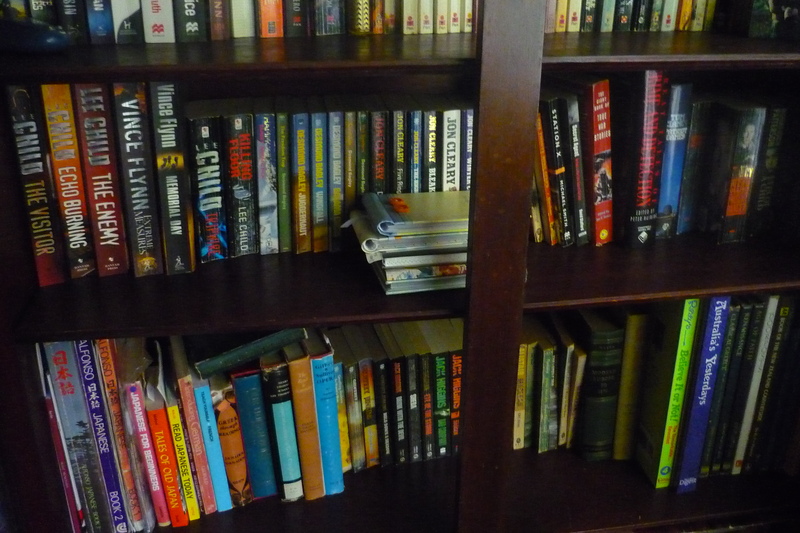 This past week, I nevertheless decided to pare down one or two of the bookshelves in our house. I picked up some volumes I had read recently—but no, I could not throw those out. You see, I know the authors. And, being an author myself, I could not consign their books to some throw-out pile. 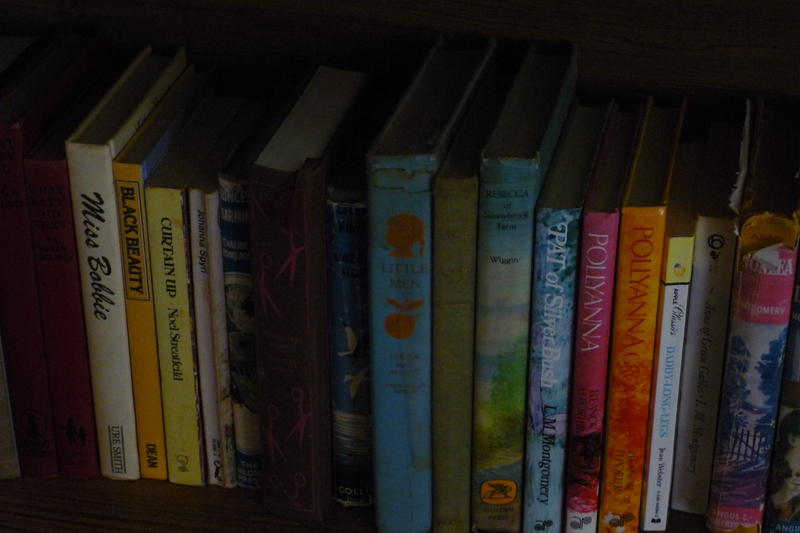 Far better to take them to a second hand bookstore where others might read them as well, if I had no room for them. So back on those shelves they went for the moment. 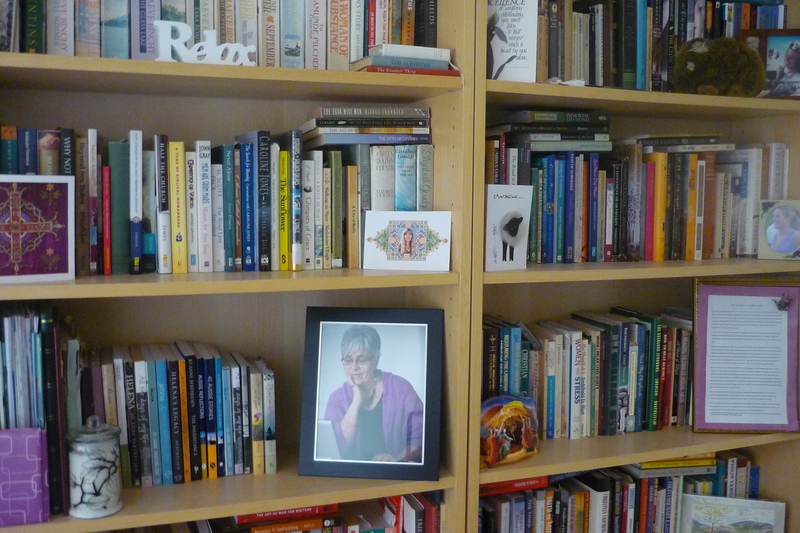 I began pulling out other books lower down on those crammed shelves. Some were textbooks from my years at theological college. Others dealt with church issues I was passionate about at one stage but no longer am—at least not so much. Some even went back to my earlier years as a Christian—large volumes I treasured then, now too outdated to refer to often, if at all. Yet I found myself loath to throw them out because they hold so many memories for me of key periods of my life when I was growin g and learning and trying to come to grips with so many matters of faith. In another room, I unearthed some old language learning books of mine—Japanese, German and even Classical Greek textbooks of little use to any student now since they are so outdated. I stopped for a moment to reflect on the hours and hours of effort put into studying these. And again, because they represent such key parts of my life, I did not have the heart to throw them out. I am aware January is often the month when nostalgic and even somewhat depressive thoughts can take hold as we get to clear out the clutter of the past. Yet, while acknowledging these feelings, I also found myself reflecting on God’s faithfulness through all those periods of my life those books represent. While my faith may well have waxed and waned, according to the pressures of life or my own wilfulness, God has watched over me, steering me through it all. Those books are only things—I cannot take them with me when I die. And the memories they invoke in me will no doubt fade in the years ahead. But that faithfulness of God they represent to me will never, ever end. And I am so thankful. I wonder if you have ever experienced one of those weird moments in your life when, with one glimpse of something or one whiff of a familiar perfume, you find yourself transported back through the years in an instant. There you are, a child again in a place or situation you had thought was long forgotten. Recently, in order to entertain a fourteen year old visitor and his ten year old sister, I decided to check through our board games. Some date back to my own childhood—Snakes and Ladders and Ludo and Fairyland and Motor Race on fragile pieces of folded cardboard, held together in spots by yellowing sticky tape. And our ancient Monopoly game, bequeathed to us by an old friend of my parents and complete with currency in English pounds. And yes, the little silver top hat, boot, racing car and ship my sister and I used to fight over are still there too. In the end, I put all these aside. This is 2014—no doubt my visitors would prefer a game on their mobile phones or Ipads. But I couldn’t resist showing them two classic old card games from my childhood years, the boxes now held together with rubber bands. I was sure ‘Donkey’ would be beneath them, but, to my surprise, they were intrigued. In fact, they played three games and were quite chuffed when they avoided that dreaded donkey card! And they were even more intrigued when I showed them my old ‘Comic Families’ card game, with cartoon-style drawings of Pa Lather (the barber), Pa Bones (the butcher), Pa Snips (the tailor) and Pa Chalk (the milkman), among others! As I sat dealing those dog-eared cards, I remembered the hours spent playing with them in my growing up years. How long ago that was! Many years later, our own children had played with these same cards, then later still, our two older grandchildren. And what had happened to me personally since those early, innocent childhood days in Brisbane? So many, many things I would never, ever have envisaged. God was there for me throughout all those early years, I reflected then, knowing what lay ahead and drawing me close, even when I was unaware of it. God reached out to me when I was fifteen, so that I came to experience Jesus’ love for myself. God watched over me in the ensuing years, not letting me stray too far and always, always calling me back. And God showered me with grace and continued to deepen my faith, even when I thought I knew it all in later years. God loved me so much as that little girl way back then who played those games with her sister and rarely won. And God loves me just as much now, I realised, as I held those same old cards in my hand. Games come and go. Things change. People change. But God remains the same, so faithful and so loving through all the ups and downs of our lives. How truly blessed we are!